Teemu Arina has a professional career of over 15 years as a technology entrepreneur, author and speaker. He is one of the forefront thinkers on the intersection of the man and the machine covering topics such as quantified self, biohacking, internet of things,wearable computing, and digital health. Recently he received the Leonardo Award (under the patronage of European Parliament and UNESCO) for “Humanity in Digitization”. Mr. Arina is co-author of the forthcoming Biohacker’s Handbook for optimizing health and wellbeing with technological and biological tools. On the top he is a popular international keynote speaker who has presented in countries such as USA, UK, Japan, Russia, the Netherlands, and Germany. Also check out Teemu’s appearance at the Flowgrade Show, where he talks with the show’s host Maximilian Gotzler on topics such as if Bruce Lee can be considered one of the first biohackers, why he uses a gold filter to brew his coffee and what is the transhumanist future for mankind. 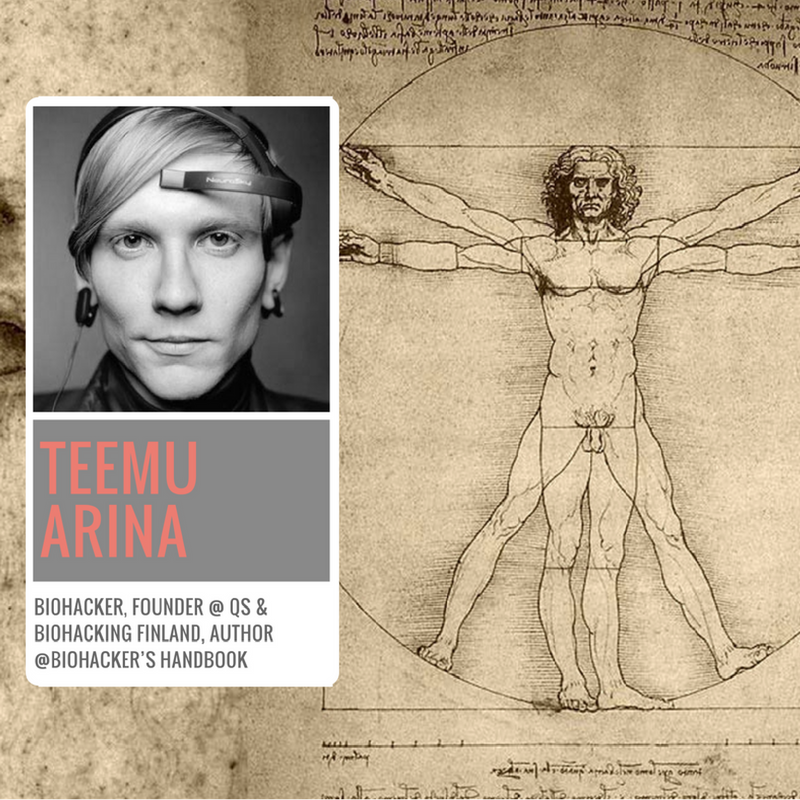 Teemu Arina is the curator of the Biohacker Summit 2016. Meet him and the rest of the Biohacker’s Handbook team on November 18 2016 in Helsinki, Finland.